“Batter up! Hear that call! The time has come for one and all to play ball!” That's how the victory song of the All-American Girls Professional Baseball League (AAGPBL) begins. You know, the real-life baseball league that inspired the 1992 film, A League of Their Own. And if the movie inspired you, then you might want to consider one of our exclusive licensed costumes! 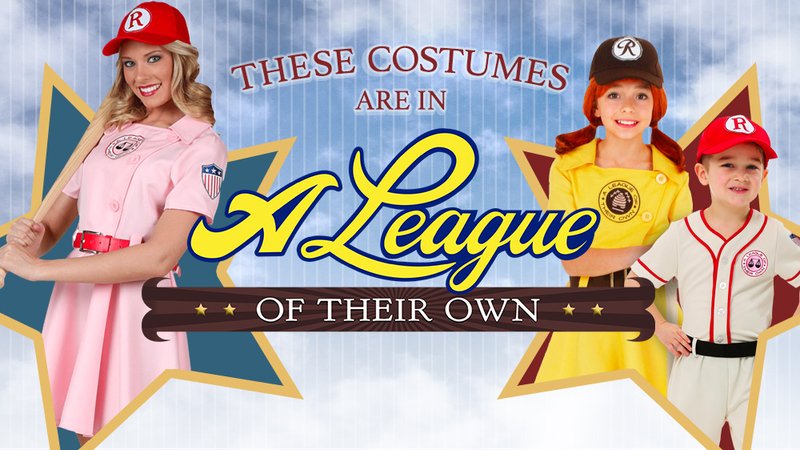 A League of Their Own costumes are perfect for Halloween, fan/movie conventions, or even a game with your friends. Think of who you might inspire! After all, a team rocking the Rockford Peaches costume is sure to win! Maybe Dottie’s not your style. Say you’re the younger sibling and you’ve got something to prove, or you just march to the beat of your own drum. In that case, we recommend an exclusive A League of Their Own Kit costume. 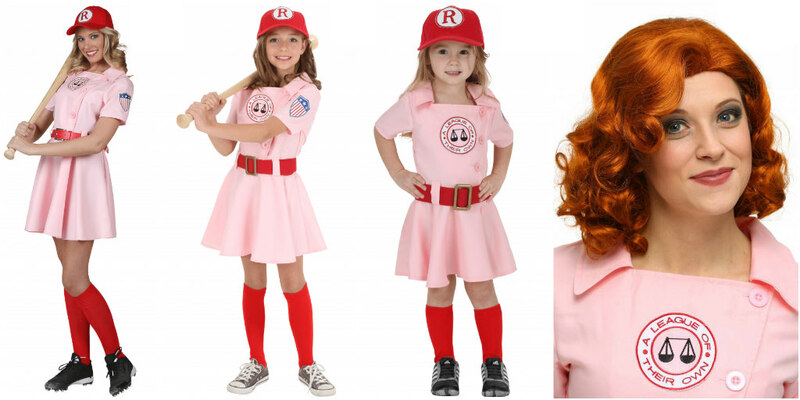 The Racine Belles costume comes in toddler, child, standard adult, and plus size, and there’s even a Kit Keller wig if you need it. It’s all you need to be a real Belle, at least for Halloween. Some actual baseball-playing skill may be helpful in real life! If you love to be the boss, consider a Coach Jimmy costume instead! His uniform is white with red edges and embroidered patches. 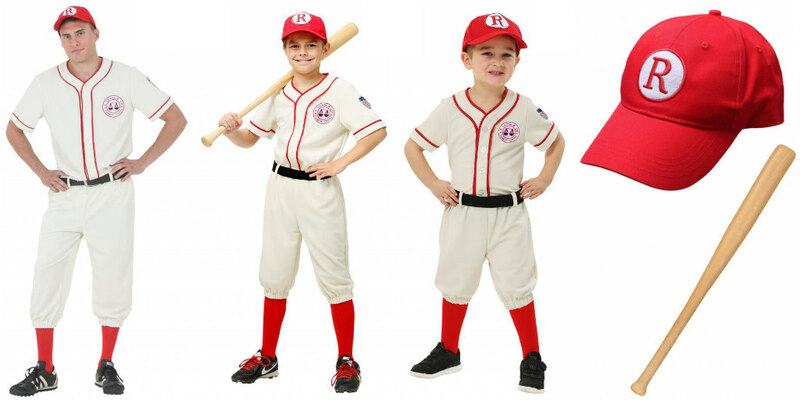 Like with the other costumes, the exclusive A League of Their Own Coach Jimmy costume comes in toddler through plus size. Don’t forget accessories like a baseball bat and Rockford Peaches baseball cap. After all, the coach is expected to look after the team’s equipment, so walking into the Halloween party with a bag of gear is totally in character. Just be sure to leave some room for candy! Did you find the costume you were looking for? 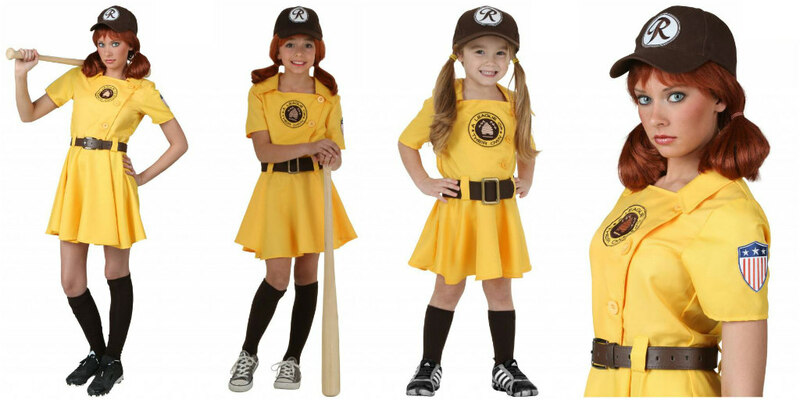 If you’re not sure, take a look at all of our A League of Their Own Halloween costumes and other baseball costumes. If you’re a fan of the movie, you may also like our mashup with the Justice League, A Justice League of Their Own. Let us know what you think in the comments below!